It’s an Early “Scrap-Happy” Day! 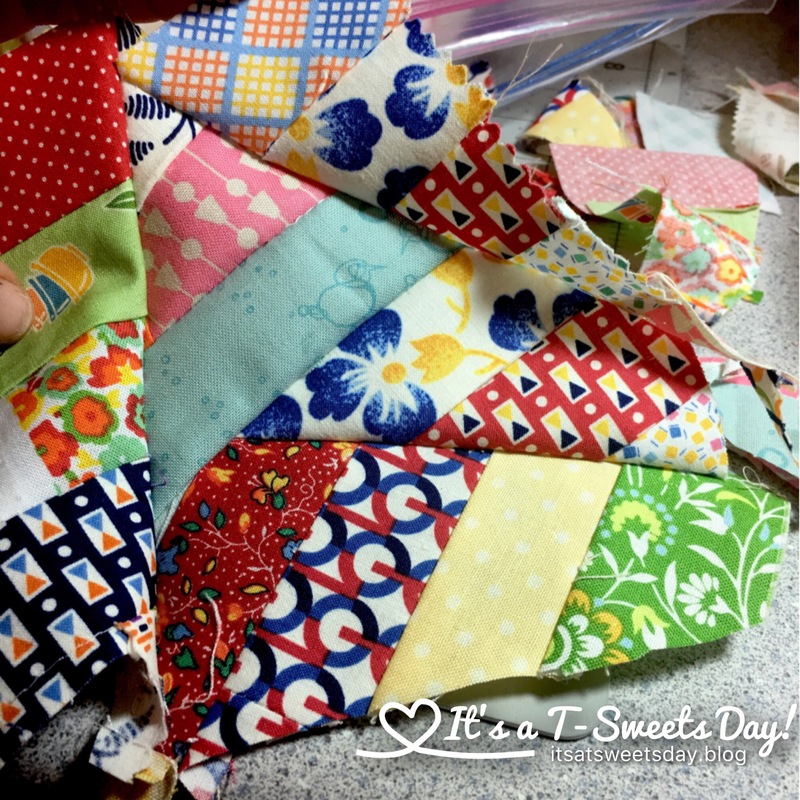 – It's a T-Sweets day! It’s an Early “Scrap-Happy” Day! 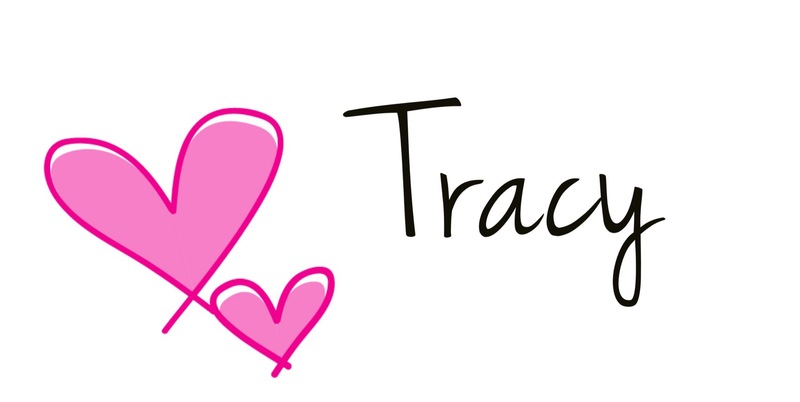 Published on April 14, 2017 April 14, 2017 by Tracy @ It's a T-Sweets Day! The months just seem to fly by! 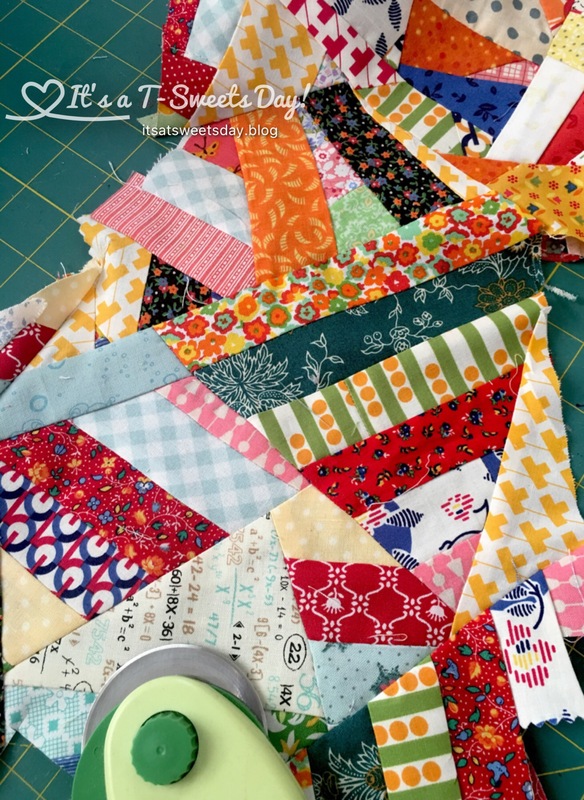 Here it is, April Scrap-Happy time again. I need to post this project a day early because tomorrow is the 2nd Saturday of the month, and I will be hosting the Fantastic Bake Along. Blueberry muffins, Yumm!! 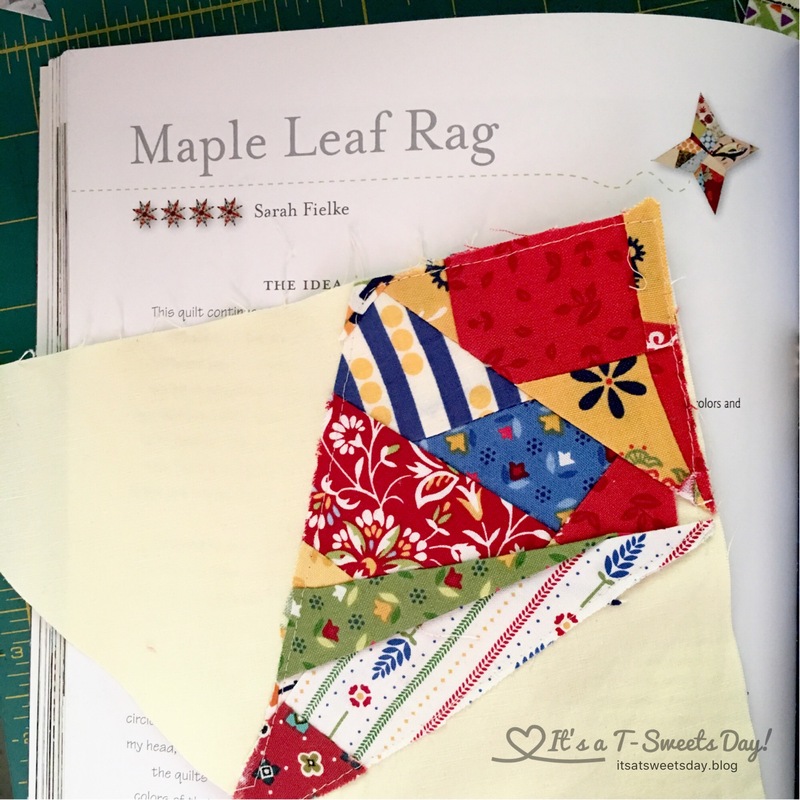 But I really am so glad for this little Scrap Happy nudge from Kate @Tall Tales From Chiconia to help me get a few stitches in on my Maple Leaf Rag Quilt. 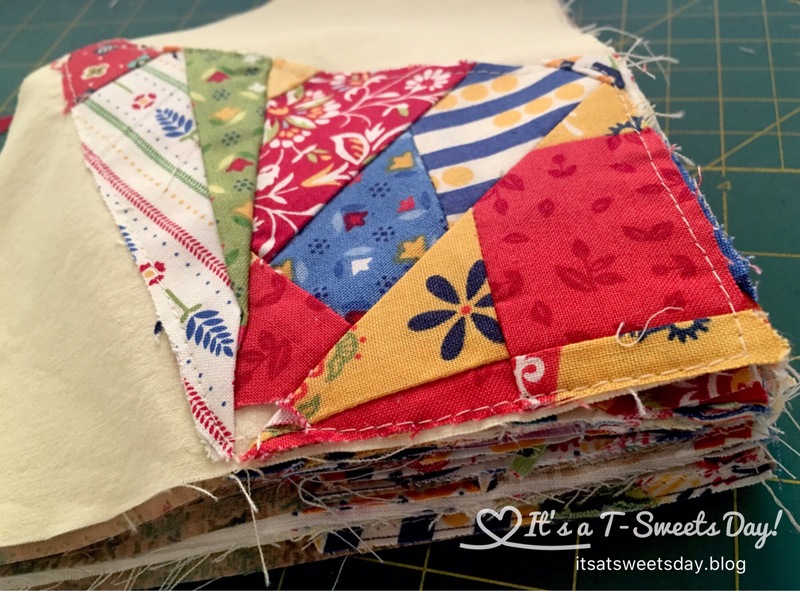 Really, this quilt would just sit in the box for who knows how long if it wasn’t for this fantastic link party:). 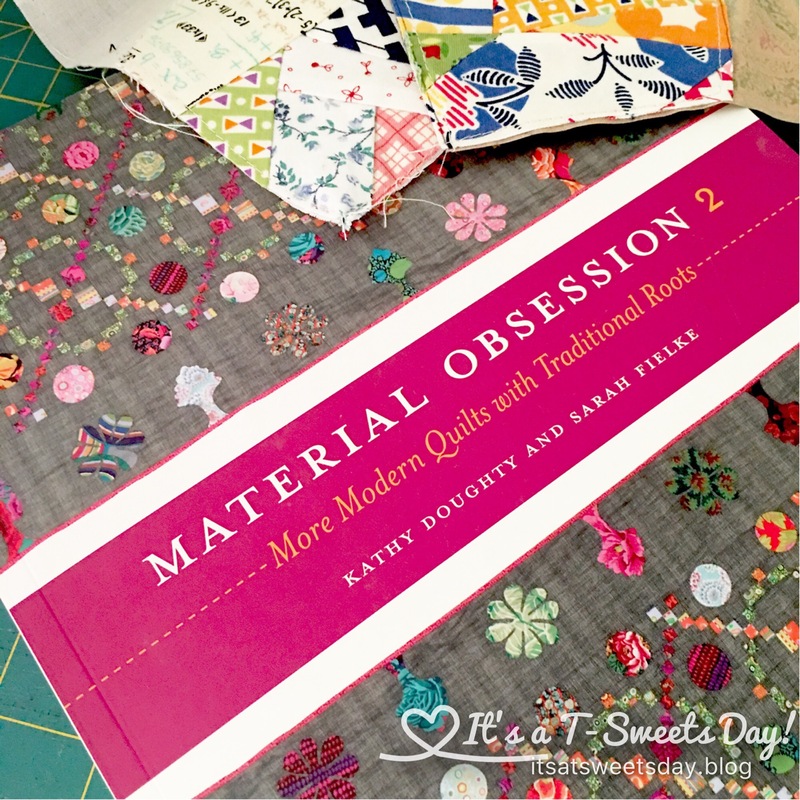 I love so many of the patterns in this book. They are not so simple that they can be done in a day or two. They take sweet time and become a part of your life. A good quilt is like that. Well, enough already! 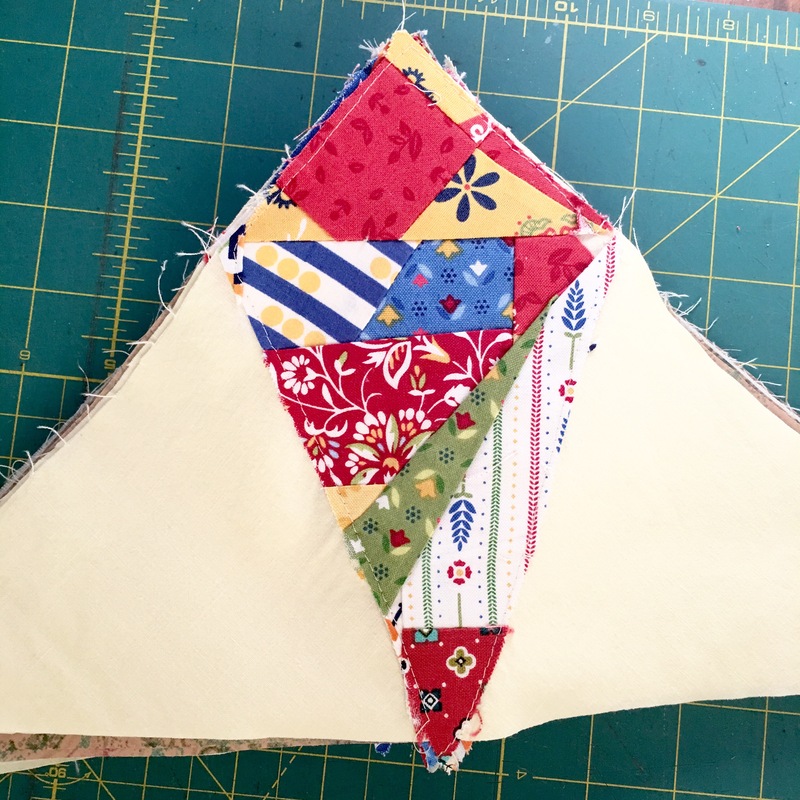 Here is my scrappy report– last month I worked on the kaleidoscopes and was able to knock out quite a few of them. I do believe I need to make more though. 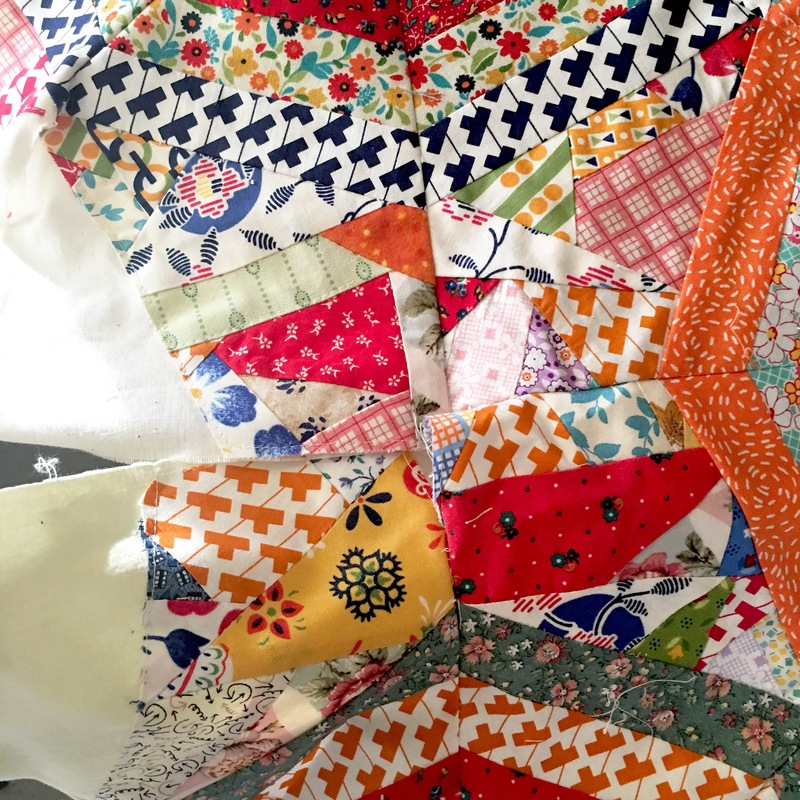 This month I worked on the crazy fabric. 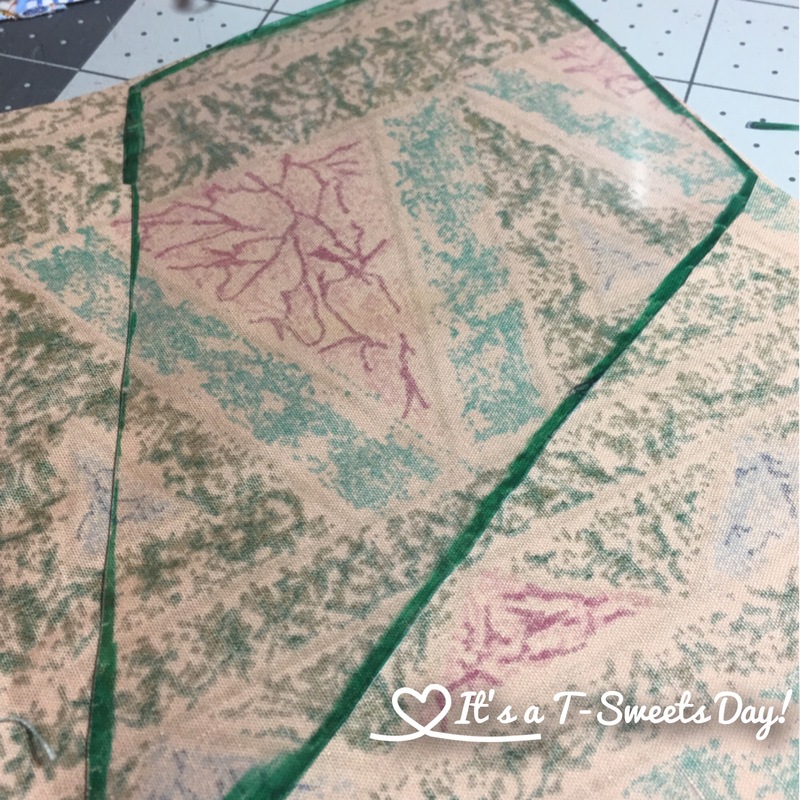 When I say crazy fabric, I mean you just add little scrap pieces in any crazy way at all to make a large crazy piece of fabric. Maybe I’m getting ahead of myself…. 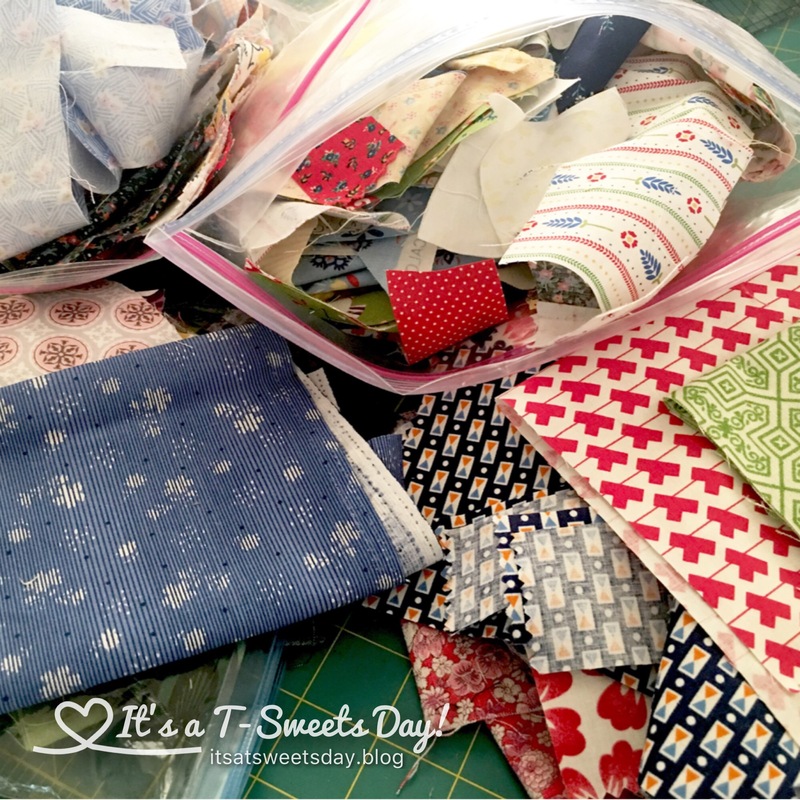 you start with a bunch of scraps I like to cut odd shapes from 2-3″ in wacky angles I piece them together or use left over cut strips and re-sew them back together in any wonky way that they fit. 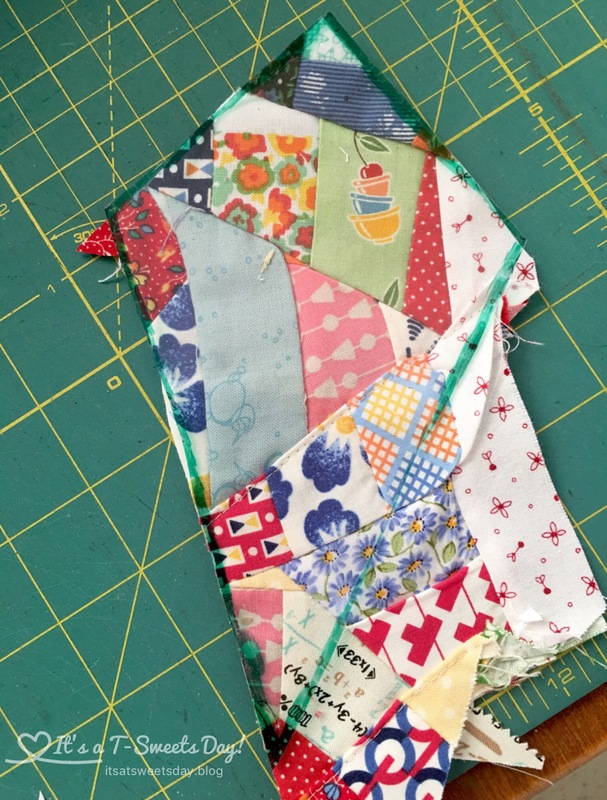 If I get too many straight lines going, I cut the crazy fabric and start adding new pieces. Fun! Next I made a template from the book out of thick clear plastic, but I wish it was acrylic. Oh well, it’s tricky, but it works. I cut a stack of these , but still need more. Small steps, small steps. I’m definitely in deep with no light at the end of the tunnel yet. It’s going to be a while:). Here is what the kaliedescopes look like when things get pieced together. 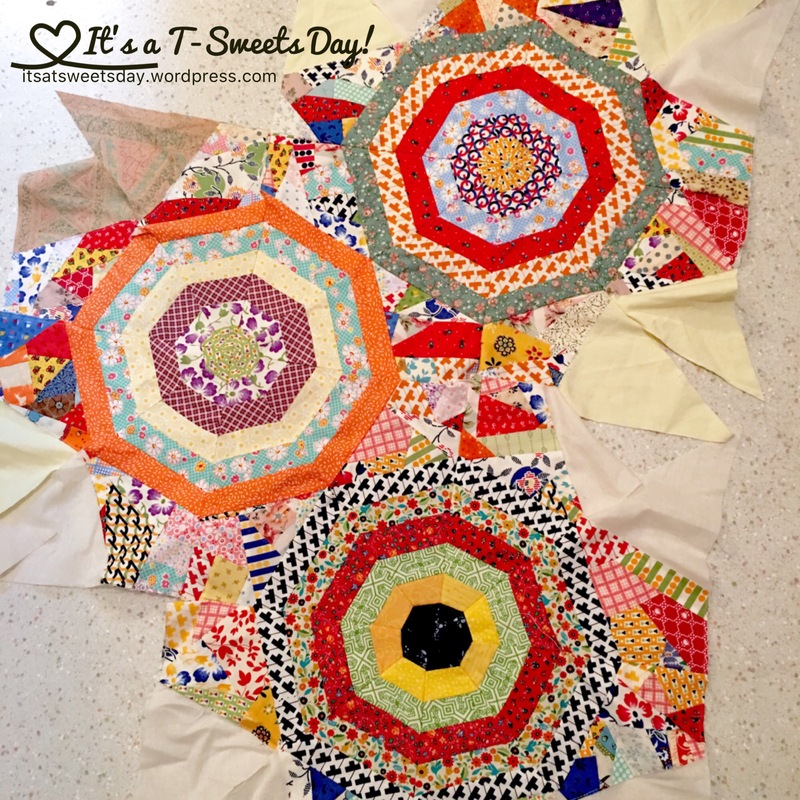 Do you see how the crazy fabric blocks all go together? Previous Quilt Time for My Splendid Sampler! Next Fantastic Bake Along – Blueberry Muffins! Wow! And, just so you know, I have my muffin post in the schedule box, with links to every who said they might join.😀 excellent success on the research side…. Fantastic! I hope yours turned out as delicious as mine. I can’t wait to see them tomorrow! Wow – that’s amazing. 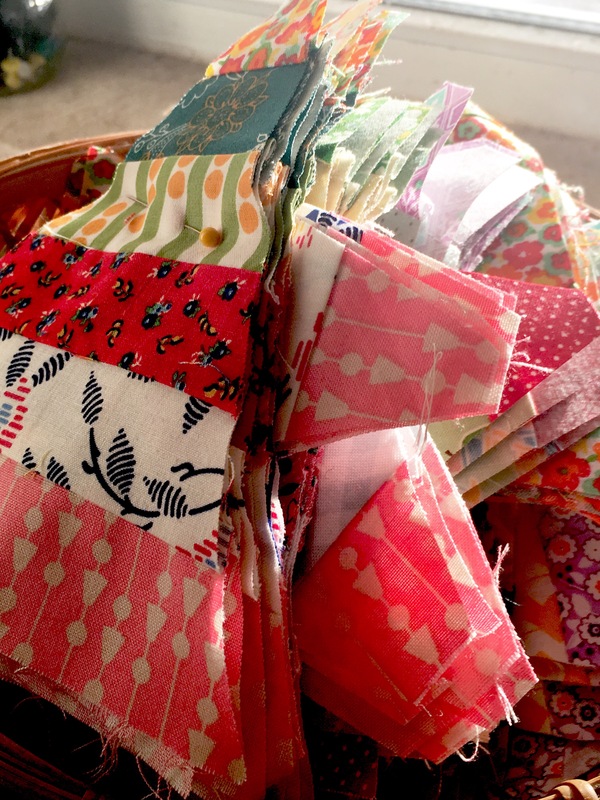 I am in awe of the things that quilters are able to do with little fabric scraps. It’s crazy, right?! 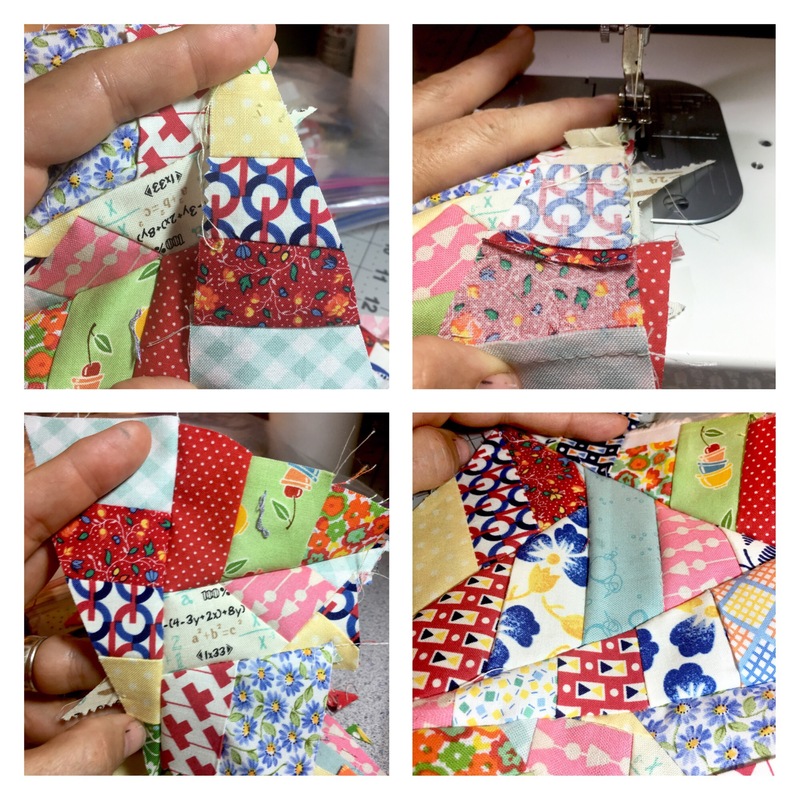 Quilters cut things up just to sew them back together again, lol:)!